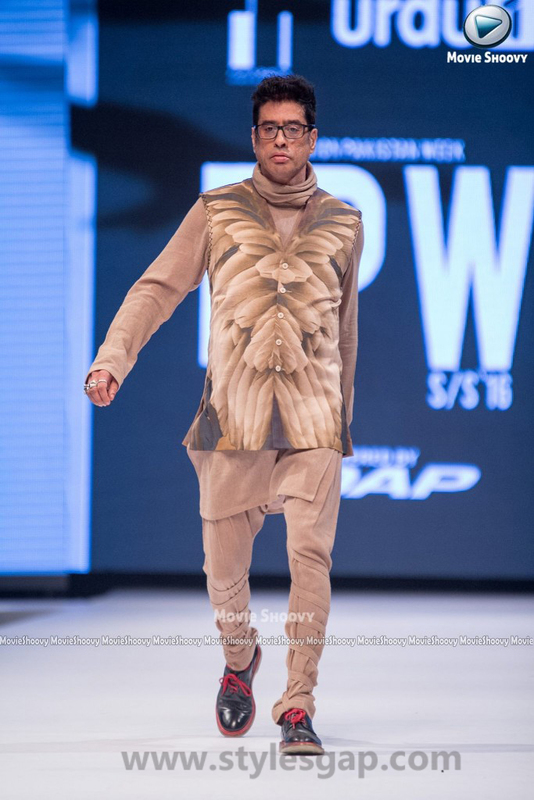 Pakistan’s one of the most anticipated fashion fiesta FPW; Fashion Pakistan Week 2016 has hit the floors of Fashion ramps. 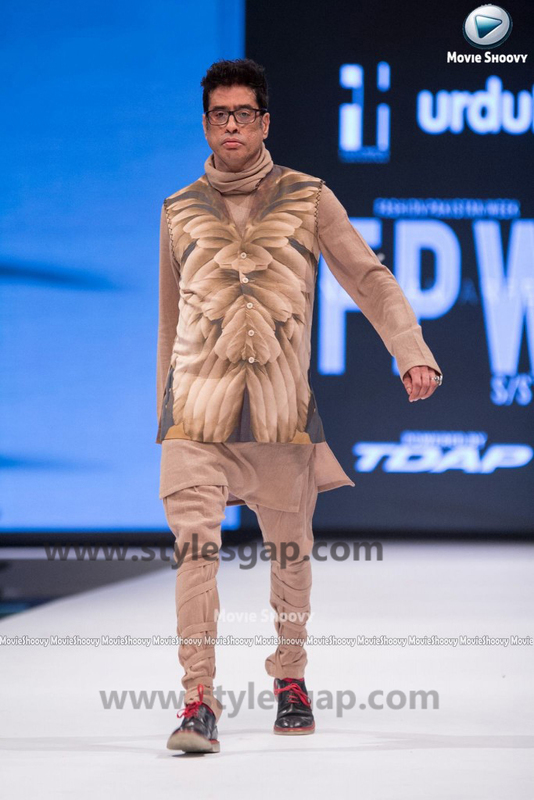 FPW is renowned for providing a huge platform to the eminent fashion designers to present their level of creativity and skills through off the line, trends and styles for male and female clothing range. 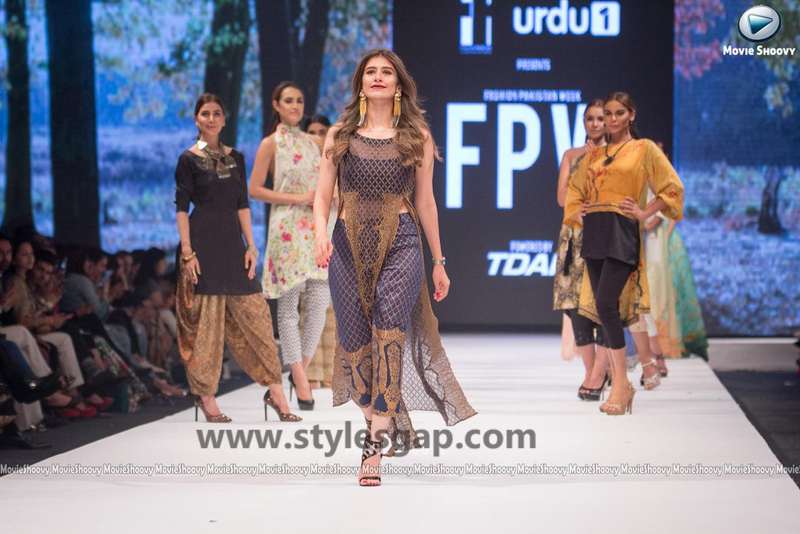 Like every year, this year too FPW has brought big stars donning into glitzy and glamorous outfits, ramping over to highlight the latest fashion trends, newer designs, and distinctive color schemes. 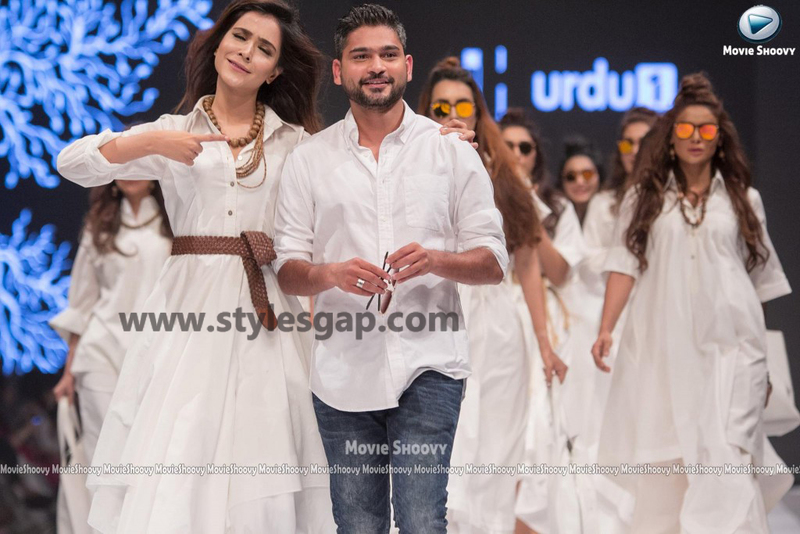 Though various models are seen donning into such apparels, to give the viewers a great treat to sight and interest, Pakistan’s finest fashion and television stars are invited to adorn the ramp with their presence. So, which celebrity took the spotlight at this year’s fashion week? To find out, let’s dive into the insight we are about to provide you. These celebrities are few of the many who have already won your heart, and once you see them in such magnificently created apparels with full of hues and appeal, surely you might skip your breaths. Guess who walked in and ramped over wearing one of the eminent textile brand, labeled as LALA? 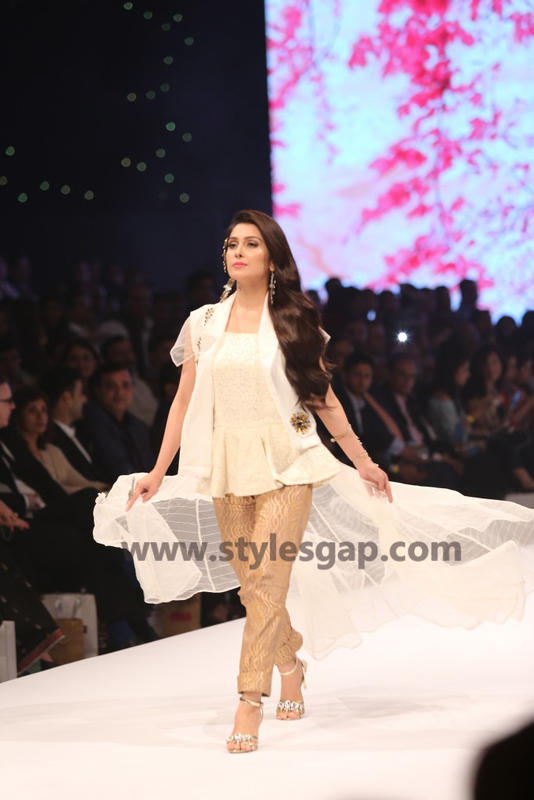 Yes, it was the very gorgeous and pretty, Ayeza Khan. 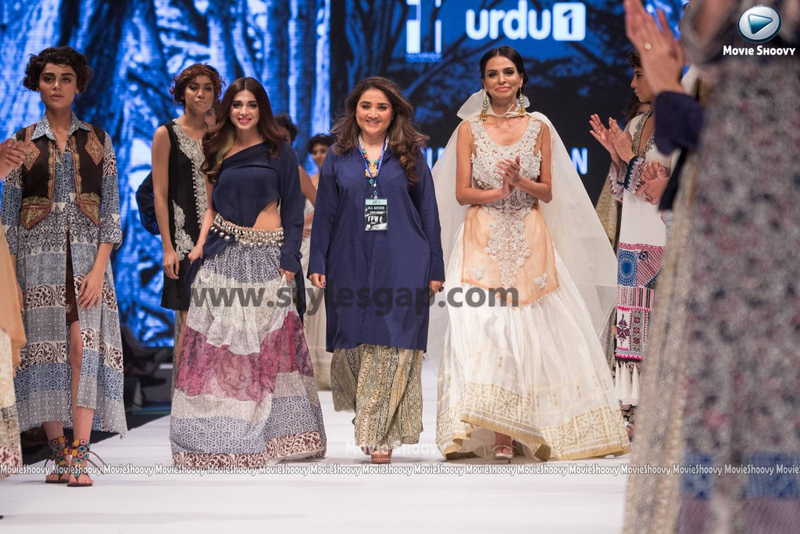 She showcased their latest collection of dresses with embroideries, named “sheen.” She indeed made the collection worth thousand appraisals because of her outstanding good looks. 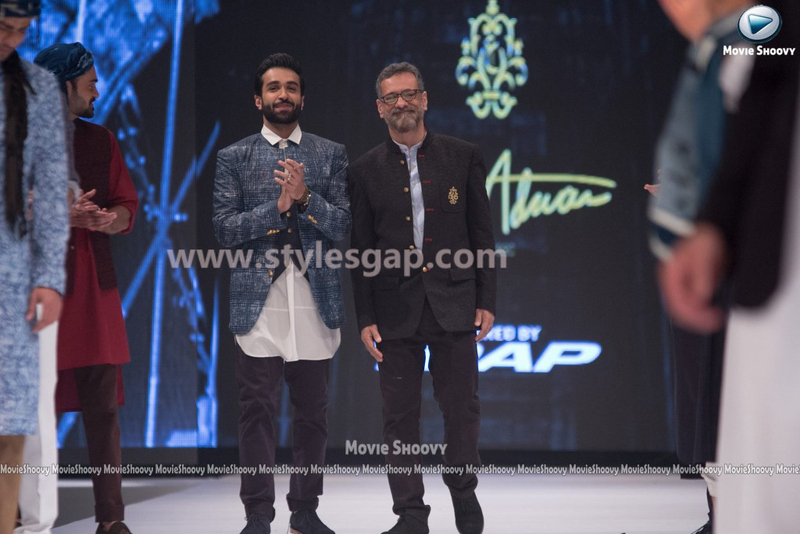 Deepak Perwani, famous for his funky and chic cool outfits, has also created his latest collection keeping that particular taste packaged with glamor. 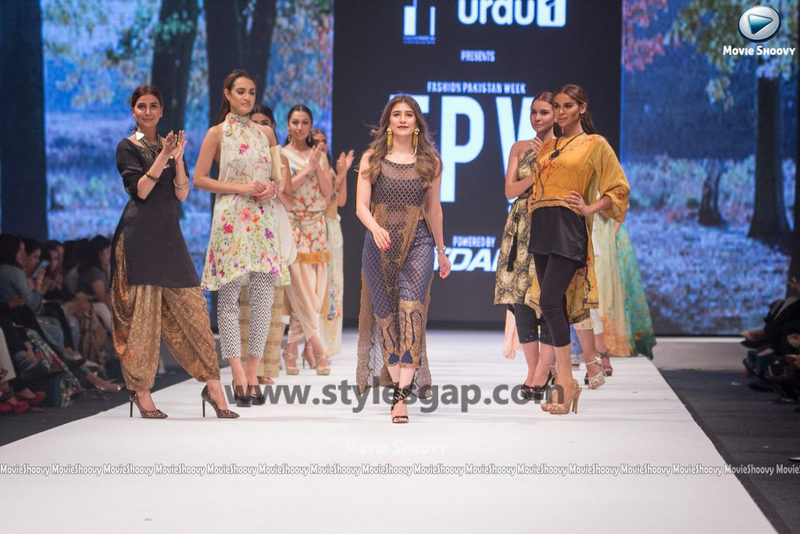 The beautiful Sarwat Gillani and the very handsome Sikandar Rizvi were the showstoppers who stunningly showcased the outfits over the ramp. 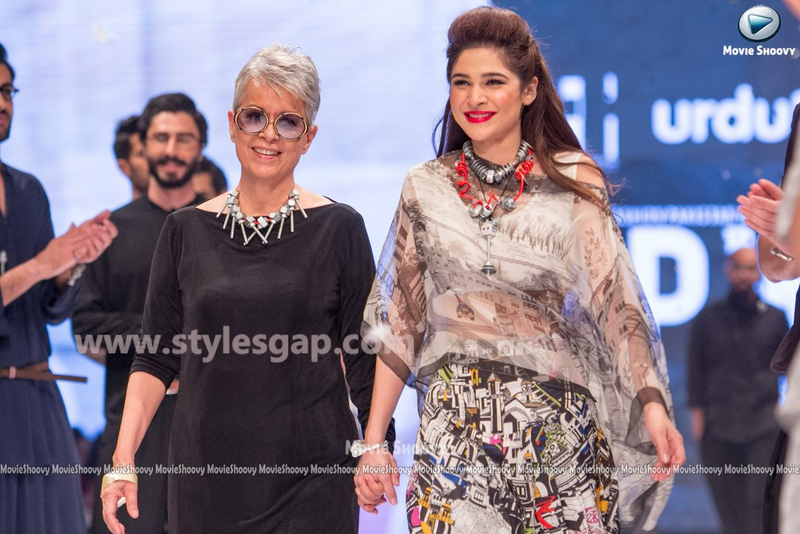 The very stunning and the cutie Frutie of our Fashion industry Ayesha Omer donned into colorful and amazing designer collection “gulabo” by maheen Khan. 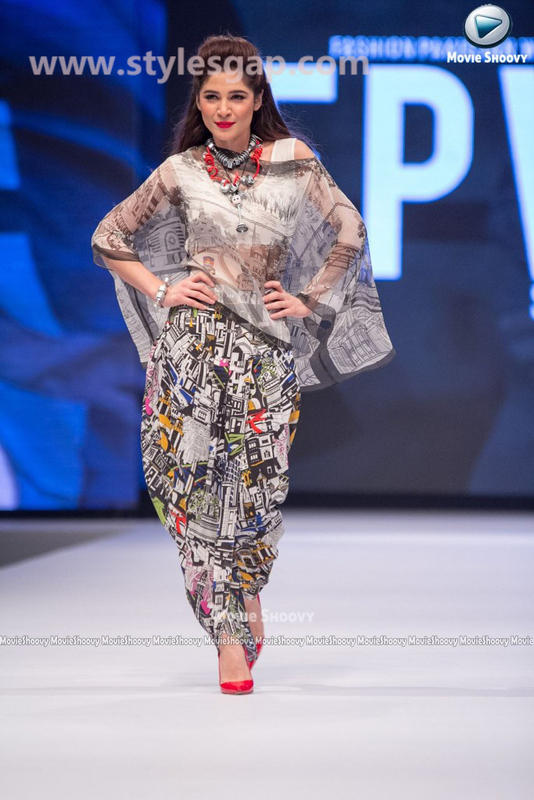 The dazzling hues of the dress and the distinctive cuts were accentuated by her smart looks. 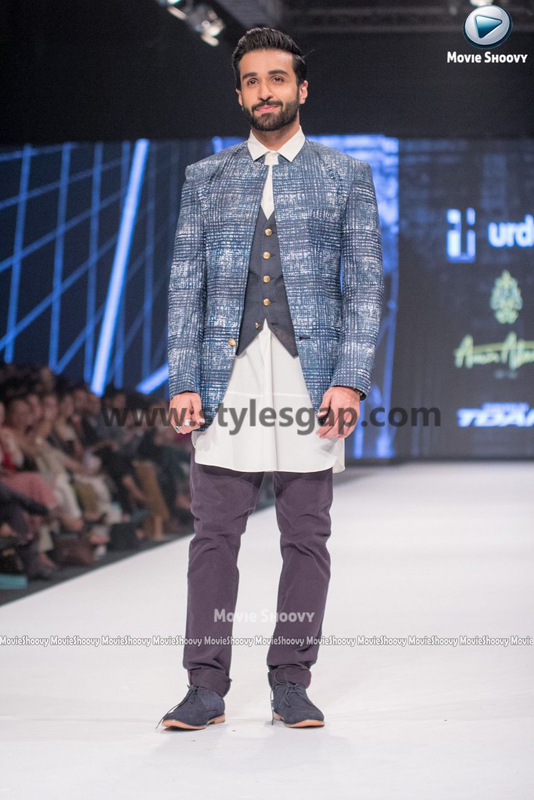 Ameer Adnan is the name of versatility and creativity bound together; he has made the great name in the men’s clothing line. 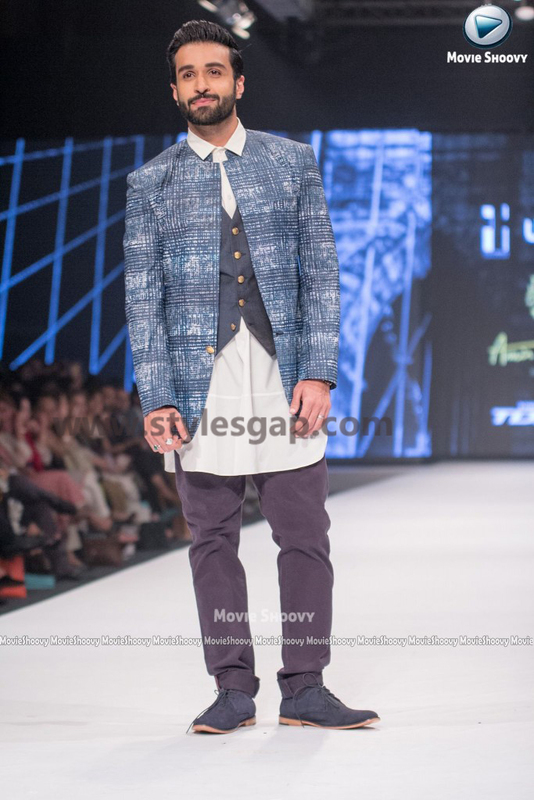 This latest collection of men’s wear was showcased by the very talented actor plus model, Azfar Rehman. 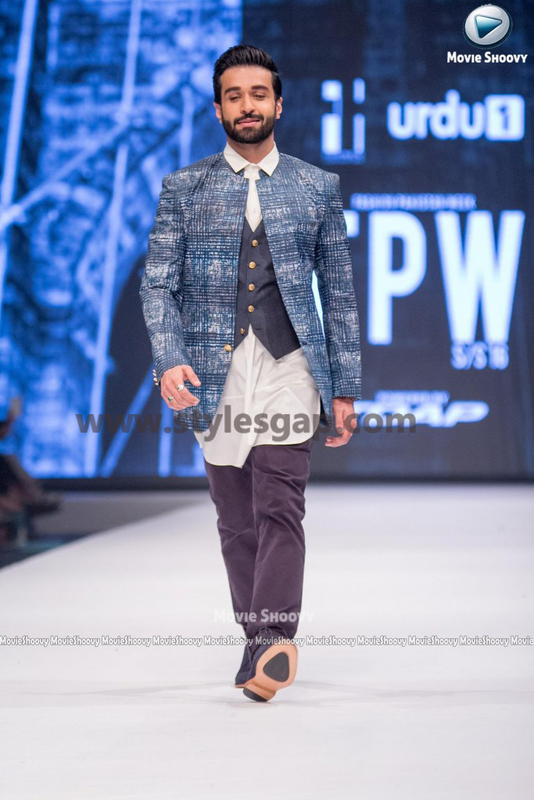 His breathtaking looks captured every other gaze at FPW’16. 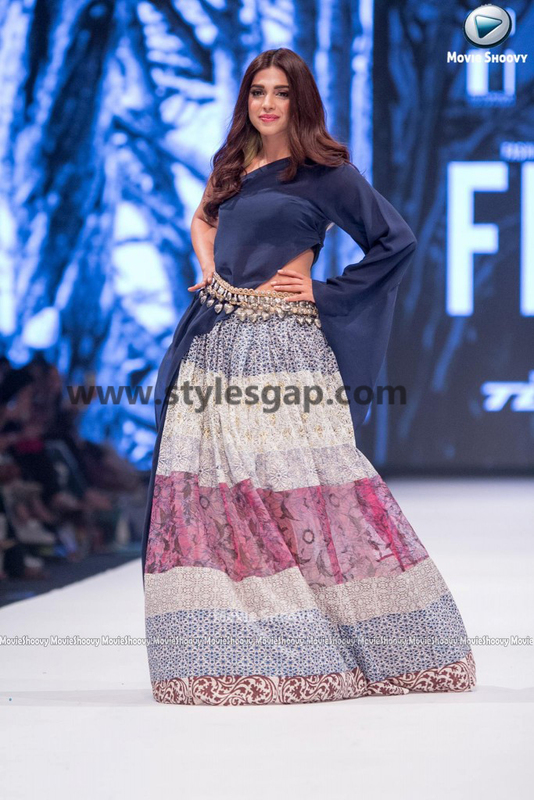 Lovely girl with the lovely smile, Syra Shehroz took the hearts of all her fans when she stepped in wearing the delightful outfit from the house ALKARAM, “Rungo ki Duniya.” Her blue dress with double layers of net and lace work made her outlooks twice more alluring. 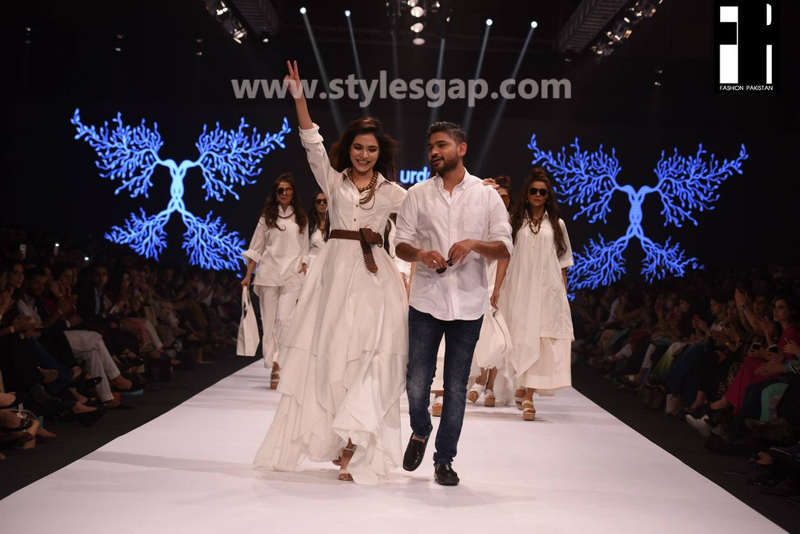 The very tempting and refreshing all white collection by Zaheer Abbas was showcased by very talented Humaima Malik. 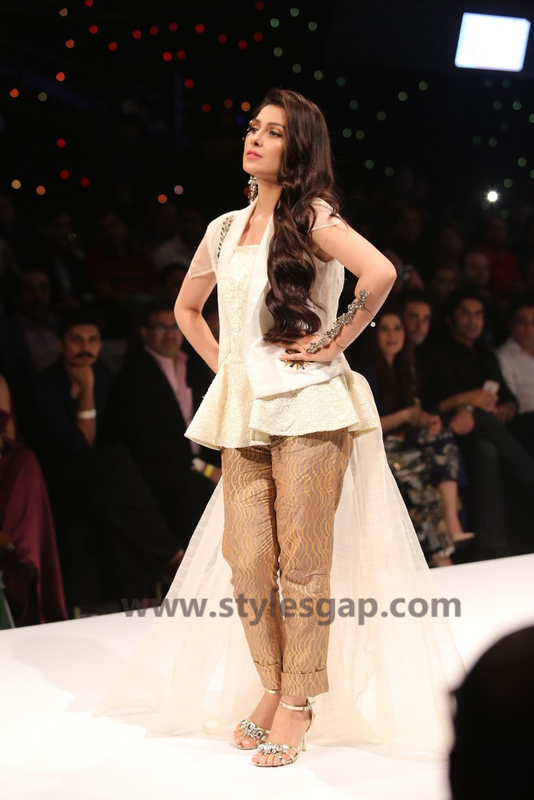 She was the showstopper of the show. She was adorned with the long white dress designed with special reference to summers. 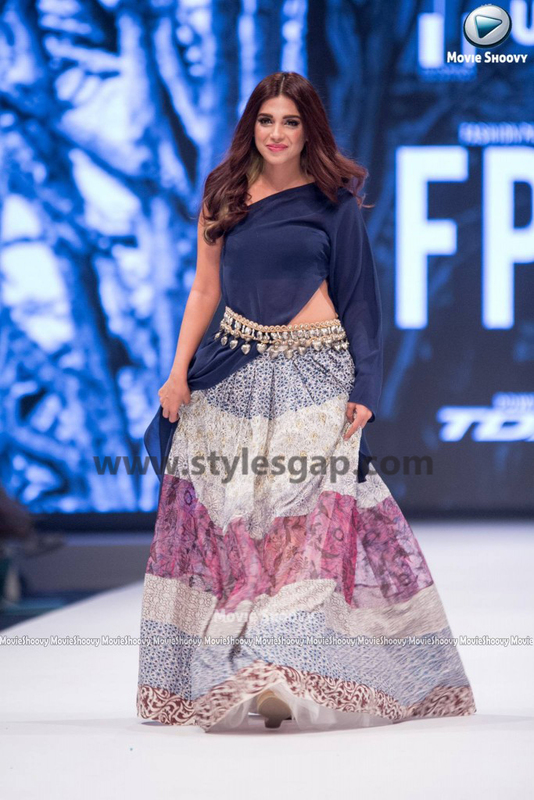 How can one forget about Iman Ali? 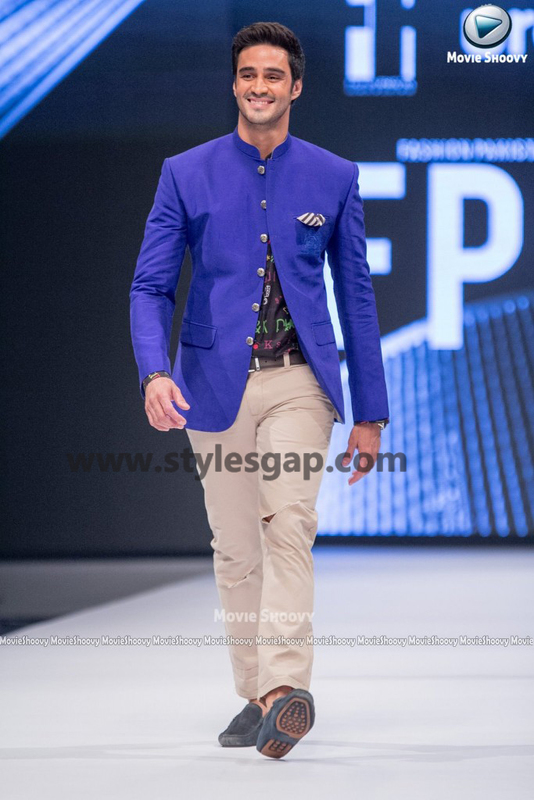 Pakistan’s one of a gorgeous model and finest actor was also the showstopper of the show. 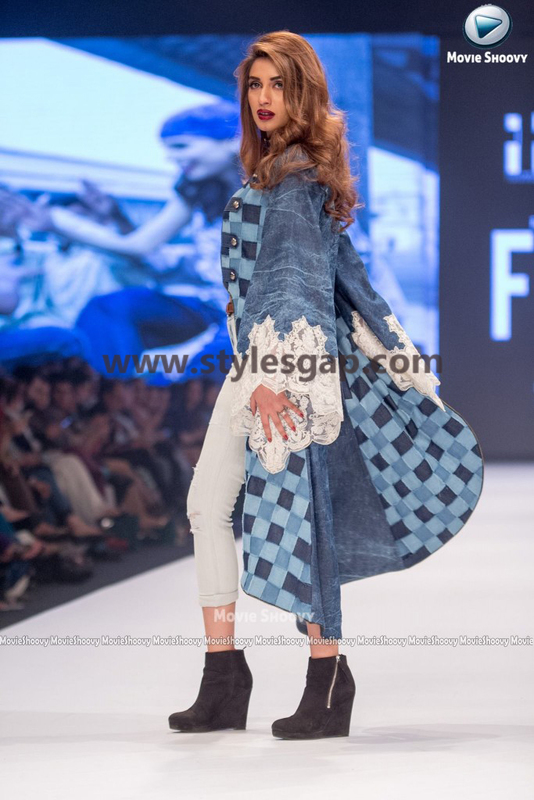 She ramped into the beautiful collection Denim Club Cobalt by Zainab Chottani. The dress has this western touch with white denim jeans coupled with the cobalt blue upper which simply looked amazing. 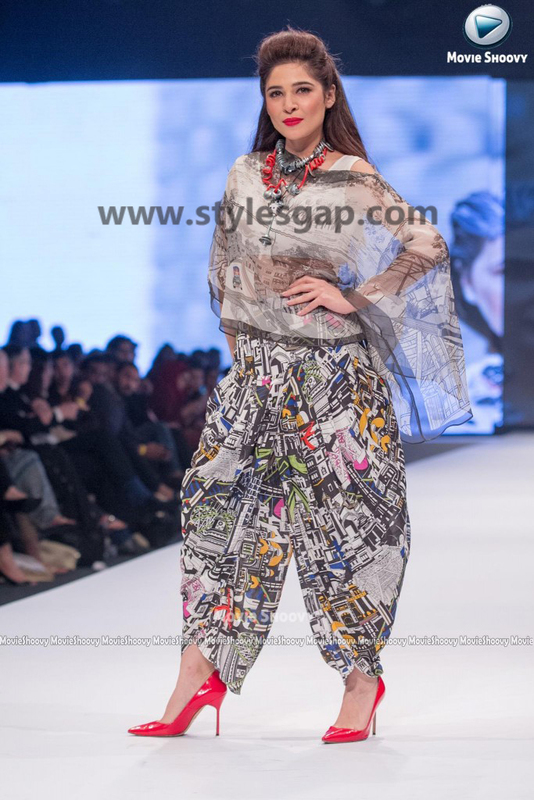 She was the showstopper for the “yugre Collection” created by the House of Shamael. 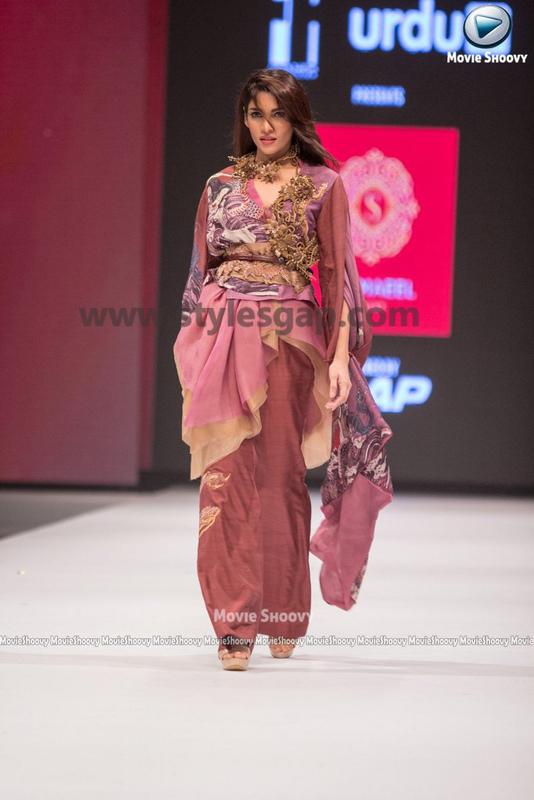 This collection has the unique range of pink used with the variety of other shades, adorned with great prints and cuts. 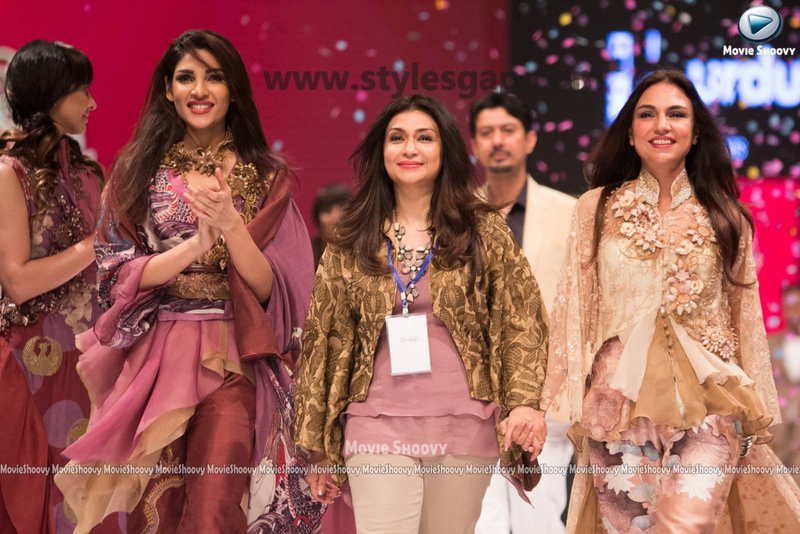 Huma Adnan’s finest collection “Organic modernity” was amazingly showcased by gorgeous Soniya Husain. 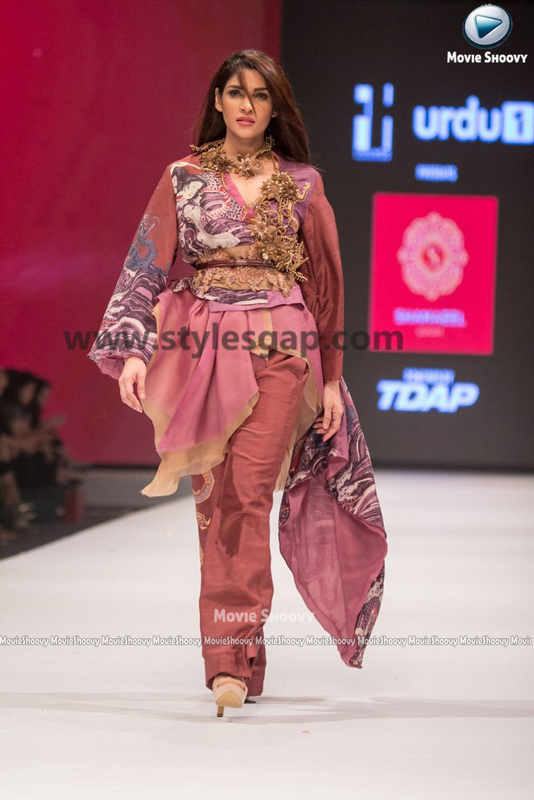 This collection was the complete package of modern apparels with appealing hues and significantly adorned with the use of intricate jewelry. 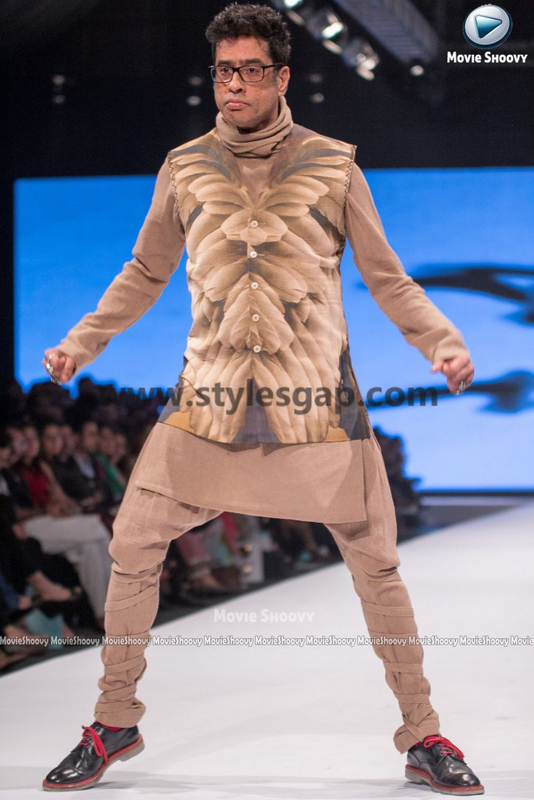 Pakistan’s famous Artist and the son of Guljee, Ameen Guljee was surprisingly also the showstopper of the show. 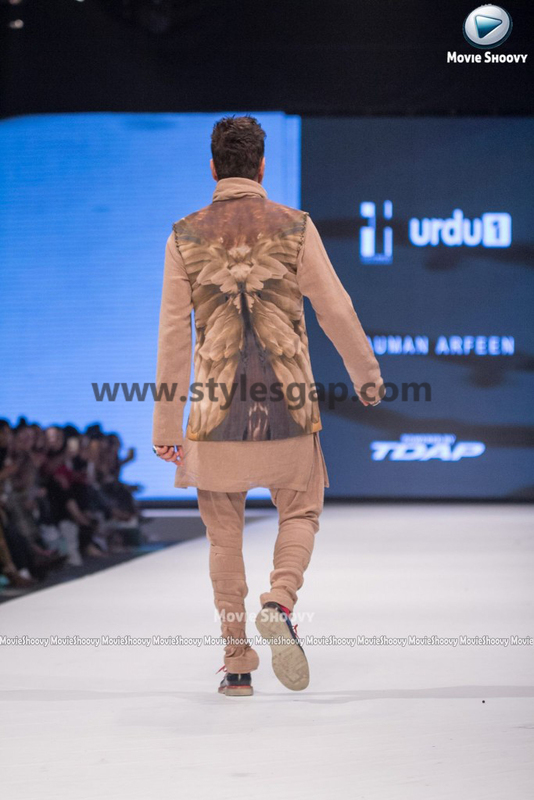 He donned into the eastern wear collection for men, all designed by Nauman Afreen.